Nexson Group is pleased to announce its presence at the most important exhibition of the chemical and biotechnological process industry ACHEMA to be held in Frankfurt from 11 to 15 June 2018. 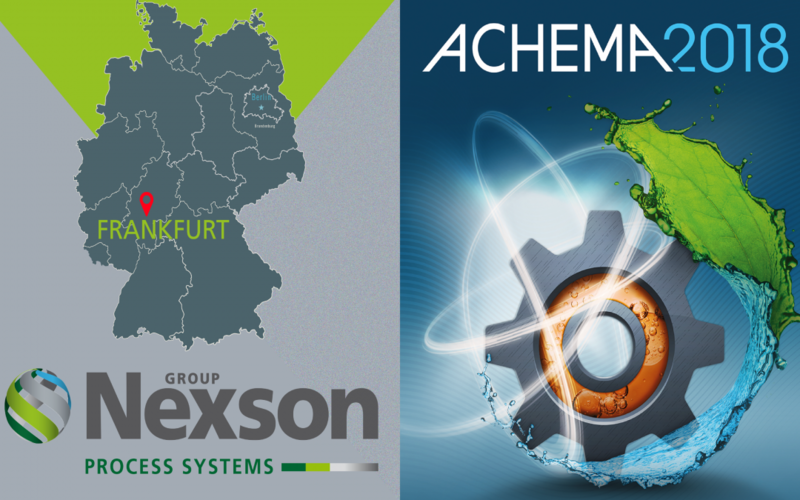 ACHEMA is a great opportunity for Nexson to exhibit and promote its products and know-how to the world as part of the world’s largest showcase for process engineering. The Nexson team will be pleased to welcome you on its booth A32, Hall 6.1 for the duration of the show.